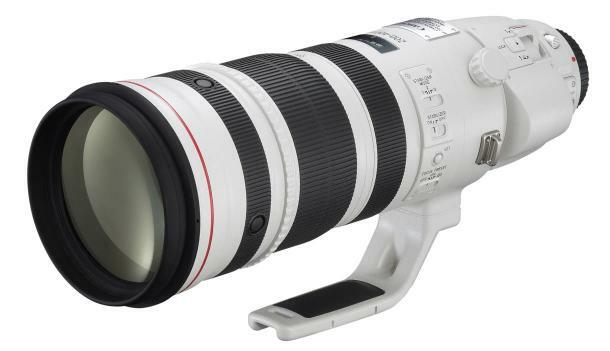 The much anticipated Canon 200-400mm f/4L IS Extender lens has finally been announced by Canon. The lens features a built-in 1.4x extender, transforming the lens into a 280-560mm f/5.6, and a 4-stop Image Stabiliser. Availability in Australia is expected by the end of May 2013. Canon announces today the launch of a new addition to the company’s line-up of interchangeable EF lenses for use with Canon EOS-series SLR cameras: the EF200-400mm f/4L IS USM Extender 1.4x. The groundbreaking L (luxury)-series lens, the world’s first1 super-telephoto zoom lens to incorporate an internal extender, delivers enhanced convenience and exceptional imaging performance on par with large-diameter super-telephoto prime lenses. Covering a wide zoom range from 200–560 mm, the new lens supports the advanced needs of professional photographers and contributes to expanding the possibilities in imaging expression. Featuring a built-in 1.4x extender that employs eight lens elements in four groups, the new Canon EF200-400mm f/4L IS USM Extender 1.4x enables users to instantly change the lens’s zoom range from 200–400 mm to 280–560 mm with the single flip of a switch.2 In addition, the super-telephoto zoom lens realises high image quality even when the extender is in use.3 Offering superior convenience, the model is particularly useful for capturing sports, nature and other types of photography involving weight and shooting-space restrictions that limit the amount of equipment that can be brought to a location, or in situations where users are unable to get close to a subject. The Canon EF200-400mm f/4L IS USM Extender 1.4x incorporates a new optical design that makes use of a fluorite lens and four UD (ultra-low dispersion) lens elements, which effectively correct for colour aberrations across the entire zoom range, making possible high-resolution, high-contrast imaging performance comparable to that made possible by large-diameter super-telephoto prime lenses. Greatly minimising the occurrence of flare and ghosting, the new lens employs optimal lens positioning and coatings, as well as Canon’s proprietary SWC (Subwavelength Structure Coating) anti-reflection coating technology. In order to equip the new lens with an internal extender, Canon newly developed a compact IS unit that delivers image stabilisation equivalent to approximately four shutter-speed stops.5 The EF200-400mm f/4L IS USM Extender 1.4x allows users to select from three different IS modes, including IS Mode 2, which is ideal for photography where panning is necessary, such as when shooting motor sports and moving trains; and IS Mode 3, which provides optimal image stabilisation when capturing fast-paced action, such as sports. The new super-telephoto zoom lens has been thoroughly reduced in weight through the liberal use of magnesium alloy and features a construction that ensures a high level of durability and ruggedness in the face of harsh shooting conditions to satisfy the demands of professionals. The Canon EF200-400mm f/4L IS USM Extender 1.4x super-telephoto zoom lens is expected to be available in Australia from the end of May with pricing at dealer discretion.